KishSquared's Super Smash Bros.-inspired Mega Man Arena is only a short day away! 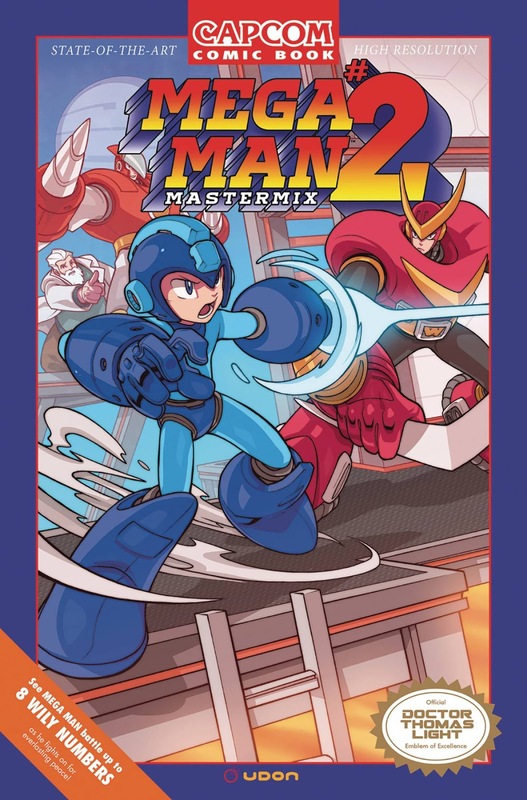 Announced in late October 2017, this 8-bit brawler features nine characters, 27 stages based on classic NES Mega Man stages, and 4-player local matches. Check out the launch trailer above! Keep your eyes peeled to www.megamanarena.com for the download. The game goes live on Wednesday, February 28, 2018 at 5pm EST! I had the chance to play a preview build – it's great. Gameplay, controls and production values (the cutscenes!) are among the best in recent memory. I think you'll be pleasantly surprised. Buckle up – I've got a weird one for ya today. BotMarley and MaverickHunterX bring us images of a Mega Man 2 plug and play TV game found at Walmart in the US. The unit is produced by MSI Entertainment and goes for $17.88. I've got no footage of the thing in action, but I wouldn't count on it to be a perfect 1:1 conversion. UPDATE: It's legit. Capcom USA's Tim Turi personally confirmed this with me. So yeah; go ahead and pick this guy up at a Walmart near you! It's not available online, FYI. 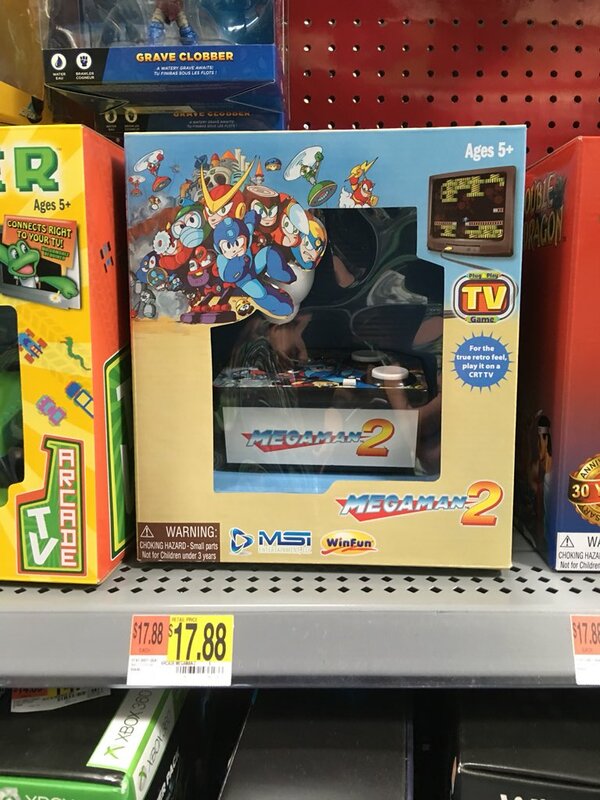 It's worth mentioning that, despite being sold at Walmart, the device may not actually be licensed by Capcom. There's no indication on the box Capcom gave this thing the go-ahead and MSI Entertainment's website doesn't fill me with much confidence, either. I've reached out to Capcom and MSI for more information. I'll keep you posted. 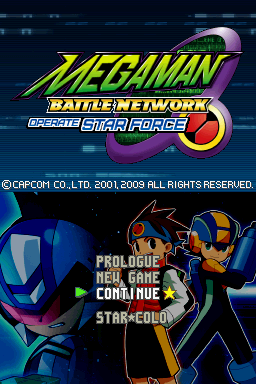 An English translation patch for Rockman EXE: Operate Shooting Star is once again in the works. There have been a few attempts over the years, but hopefully this is the one. Spearheaded by members of The Rockman EXE Zone, the goal of the project is to translate the new, exclusive Operate Shooting Star content: the Star Force scenario, the multiplayer Star Colosseum and new Battle Chips. 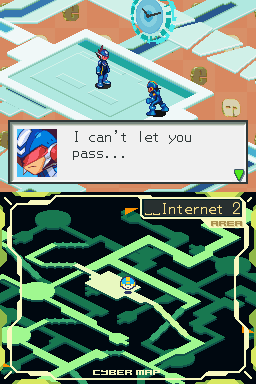 Text from the original Mega Man Battle Network 1 script will be ported over, too. The team also wants to fix typos and inconsistencies in the original game's translation. As of this writing, the game's main scenario is done and fully translated. The Star Force scenario has been translated and is currently being edited. 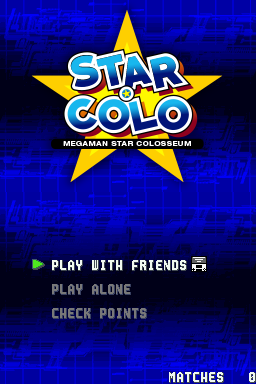 The Star Colosseum and various menus and graphics are "mostly done". So, really, it sounds like this patch isn't too far off from distribution. Fingers crossed! It's been a long time coming. For more details and further updates, hit up this TREZ thread here. 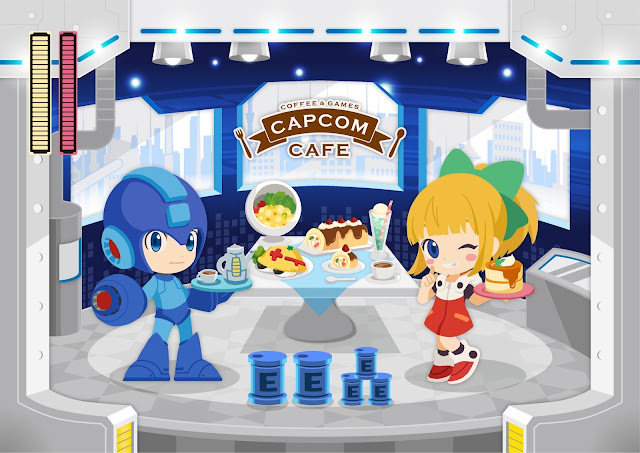 The Capcom Cafe's Rockman 30th anniversary promotion starts tomorrow, February 22nd. And just in the nick of time, here are a few more last minute goods you can pick up when you drop by (luck you). 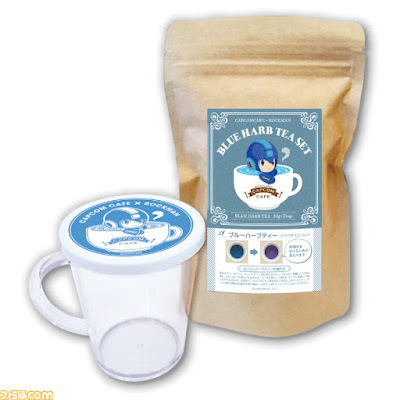 Blue "harb" tea, anyone? 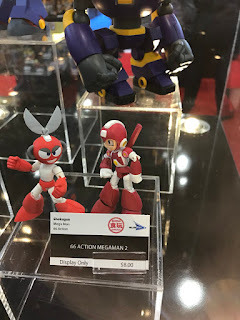 By way of Pixel Dan, here's a closer look at Jakks Pacific's upcoming Mega Man toys. 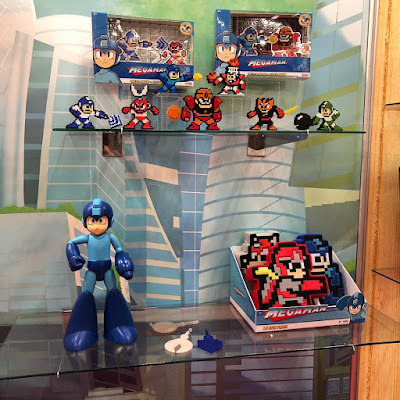 We get to see more of the articulated 8-bit mini figures, plushies and the 10-inch tall classic Mega Man figure. The figure on display, apparently, was only a prototype. The final version will reportedly recognize and react to different weapons plugged into the Mega Buster. The weapons on display were Ice Slasher, Rolling Cutter and Hyper Bomb. Unfortunately, it looks like Jakks' toys from the upcoming animated series were a no-show this time. Oh well. We'll be looking ahead to the future. Lots of toy news this weekend! 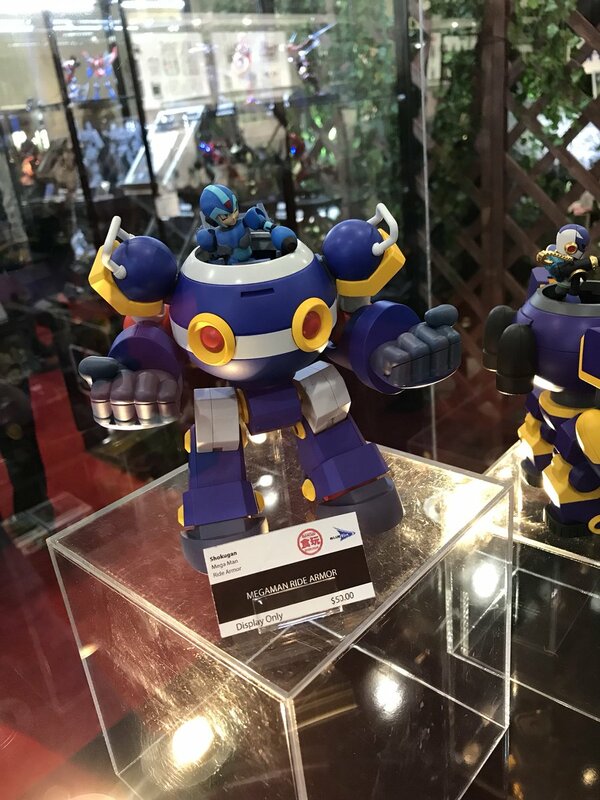 An armorless Mega Man X Nendoroid, a 4-Inch Nel Roll Caskett, and a special 4-Inch Nel classic series Mega Man were just unveiled at the World Hobby Fair. Hit the jump below for pics! 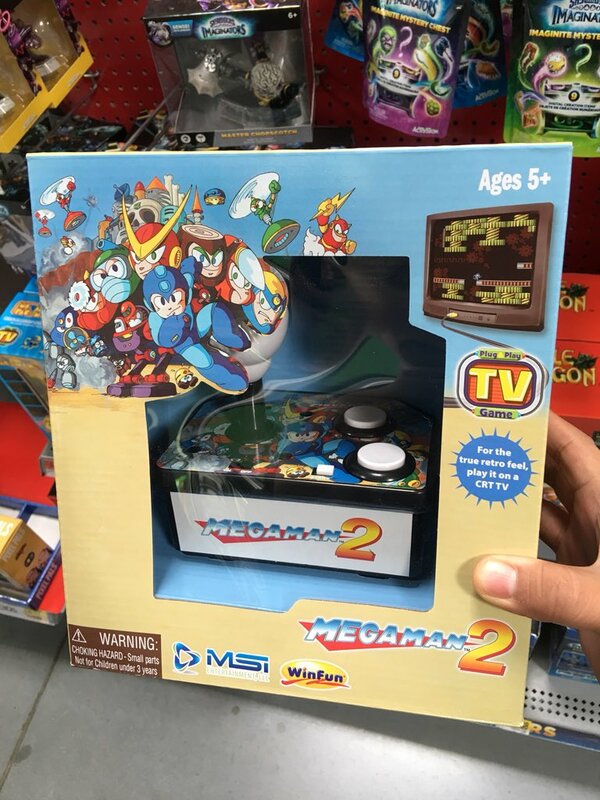 Back in May of last year, Jakks Pacific won the master toy's license for the Mega Man animated series. 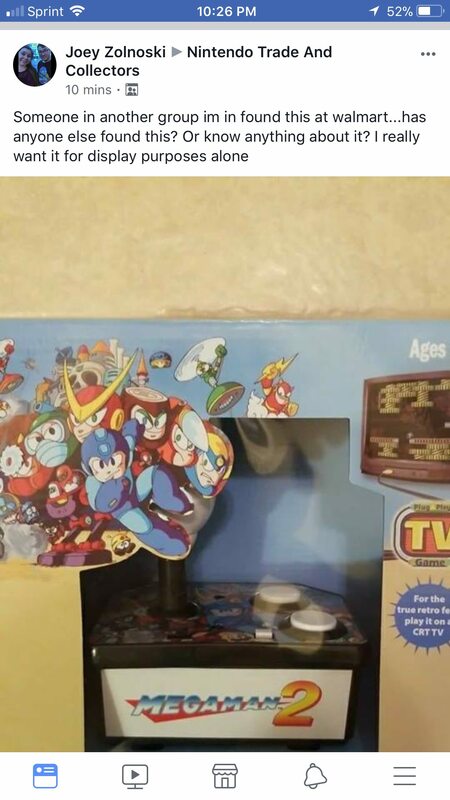 Although there's no sign of toys based on the show at the New York Toy Fair at this time, Jakks Pacific are showing off a few pieces of merchandise based off of the video games. The New York Toy Fair has begun and already we've got a few brand-new Mega Man toy reveals. 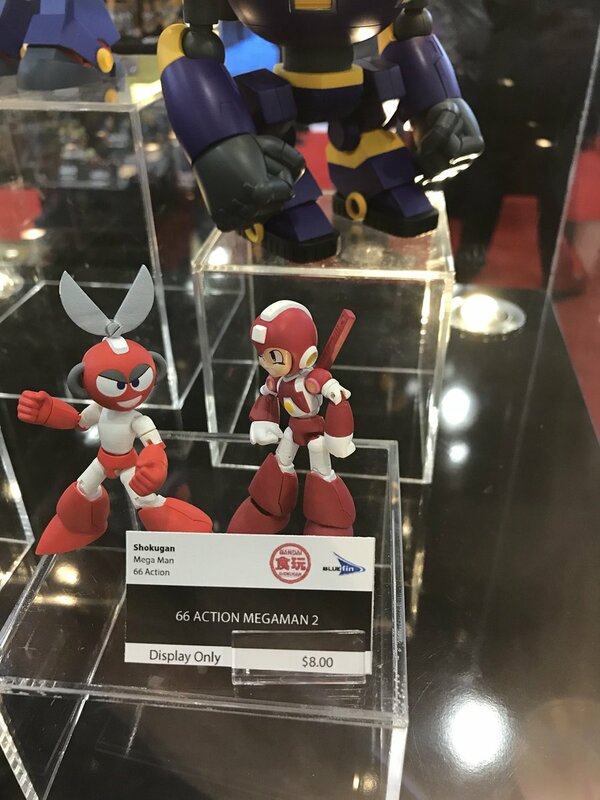 Four new "66 Action" mini figures are on display at Bandai's booth: Super Mega Man, Star Force Mega Man, Cut Man and Vile. These will retail for $8.00 a piece when they hit shelves later this year. Also, we're finally getting Ride Armors. X and Vile's Ride Armors are coming later this year for $50.00 a piece. They're designed to be used with the 66 Action mini figures. More news soon! Rockman Corner reader Tony Nguyen took a trip to Rockman Unite – the 30th anniversary event currently going on in Hanayashiki Park – and brought back a bevy of photos for everyone to check out. Chief among them are some excellent shots of the art gallery, which features a host of rare and never-before-seen concept artwork. There's quite a few unseen Keiji Inafune pieces and, perhaps most intriguingly, early dot designs for Elec Man and Bomb Man! 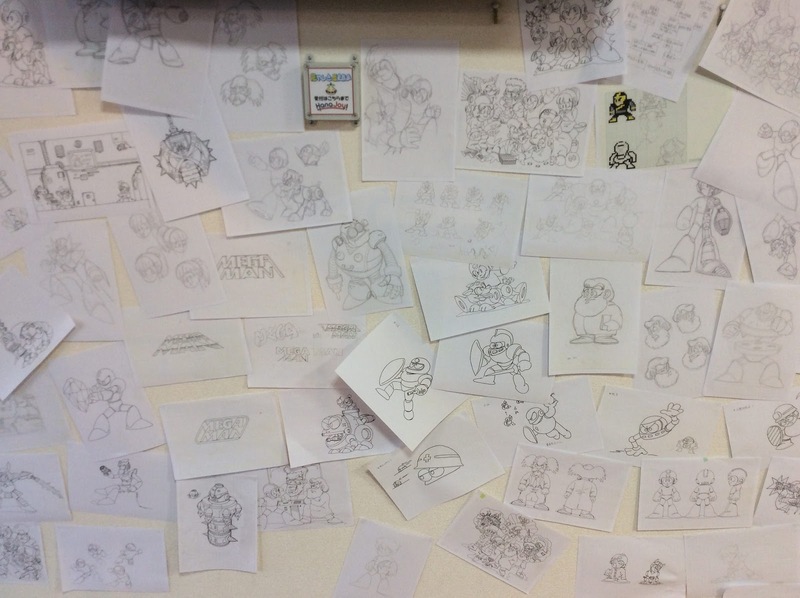 Other images of note include unused enemies, unused Robot Masters and even Inafune's original, uncolored MM1 Roll sketch. All this and more can be seen at Tony's Flickr gallery here. 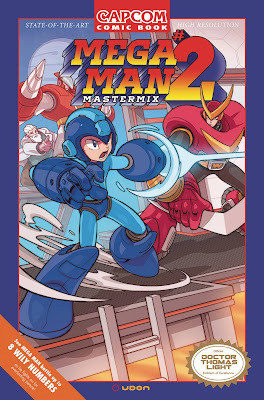 One has to wonder why these pieces were left out of MM25: Mega Man & Mega Man X Official Complete Works. With so much unseen stuff here, perhaps it's time the big 'ol book got another revision? I'm very much down for that. A big thanks to Tony for bringing these to our attention! Again, hit up the Flickr gallery for more! Back in December, Capcom announced plans to port every numbered Mega Man X game to Nintendo Switch, PlayStation 4, Xbox One and PC. They did not, however, specify the release format. While those details have yet to be officially announced, new ratings for a Mega Man X Legacy Collection and Mega Man X Legacy Collection 2 from Australian Classification Board seem to suggest X1~X8 will be split between two compilations. At this time, it's difficult to say if these two separate collections will share the same release date, how much they'll cost, or if they'll be available physically, digital or both. There's quite a bit we still don't know! Of course, all of this is contingent on an official announcement from Capcom. With these ratings out in the wild, though, we may not have to wait too long! 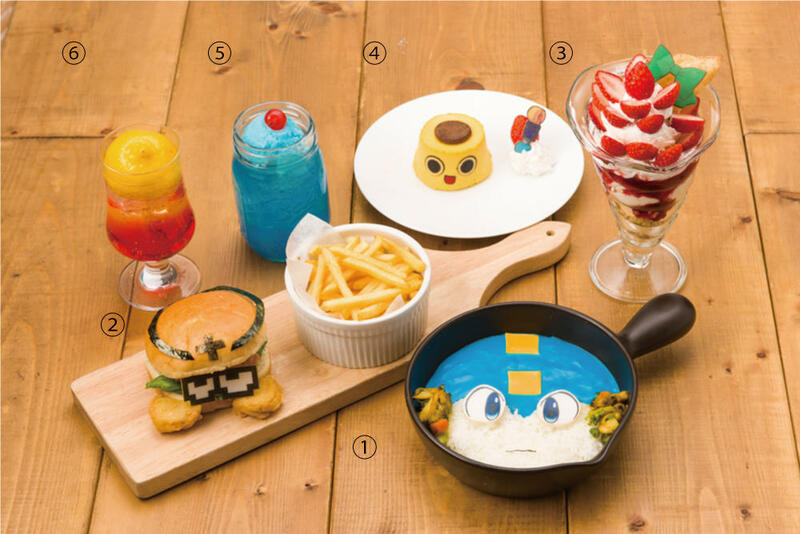 As previously reported, the Capcom Cafe in Aeon Lake Town (Koshigaya, Saitama) is getting in on the 30th anniversary festivities with a special Rockman-themed menu. And today, we have our first look at these quirky little delights. 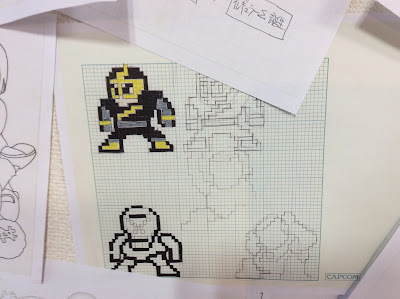 An official design document from Mega Man X1 has been spotted at Rockman Unite – the 30th anniversary event currently taking place in Hirakata and Hanayashiki Park. 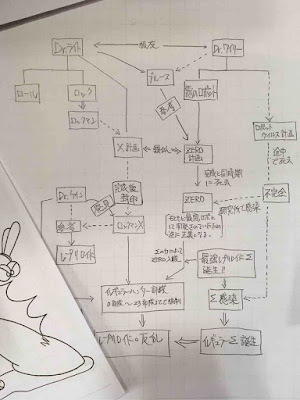 This piece (original on the left, translation on right) is an official character relationship chart which – according to a now-deleted tweet from Mega Man 5's planner Ichiro Mihara – was written between Mega Man 5 and X1's development in 1993. So a couple cool things of note. 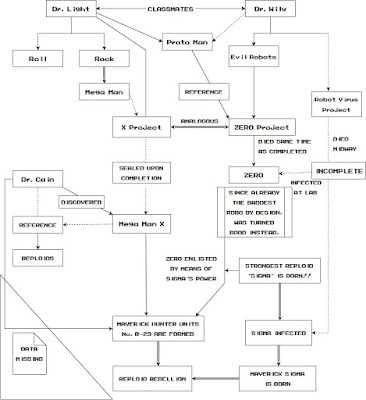 Firstly, if Mihara is correct, this outright confirms the Dr. Wily-Zero relationship was planned from the very start. 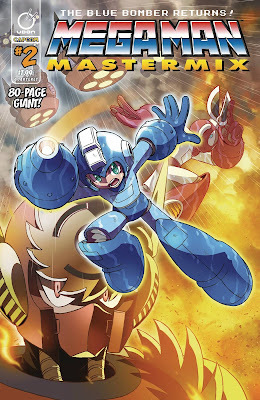 This backs up a comment from Keiji Inafune made in MM25: Mega Man & Mega Man X Official Complete Works. 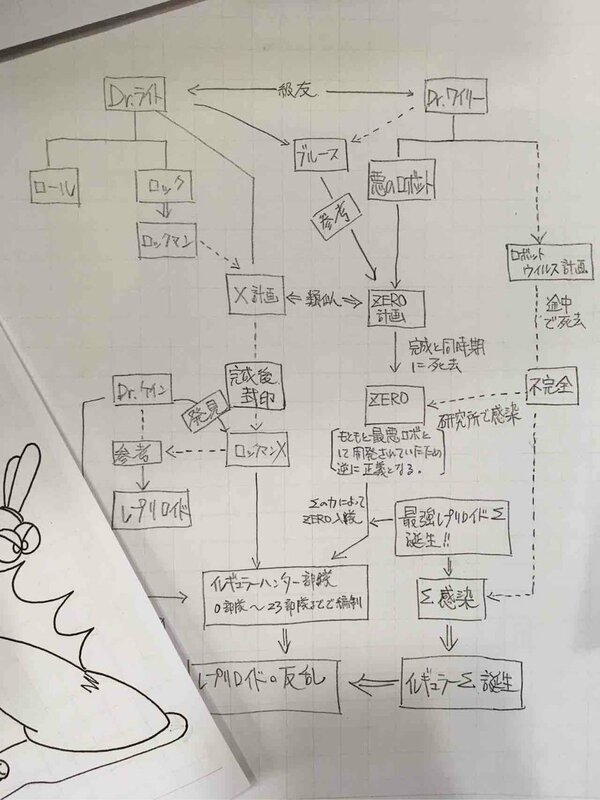 Second, according to this document, Dr. Wily used Proto Man as a reference when creating Zero (bear in mind Bass did not exist at this point). Third, it appears Dr. Wily died just after completing Zero. And finally, providing further credence to comments made in Mega Man Zero: Official Complete Works, Dr. Wily's virus turned Zero good since he was 'already the baddest robo by design'. UPDATE: The "missing data" portion has been spotted! It says, "for the sake of behavioral research." Thanks Tony and #20! 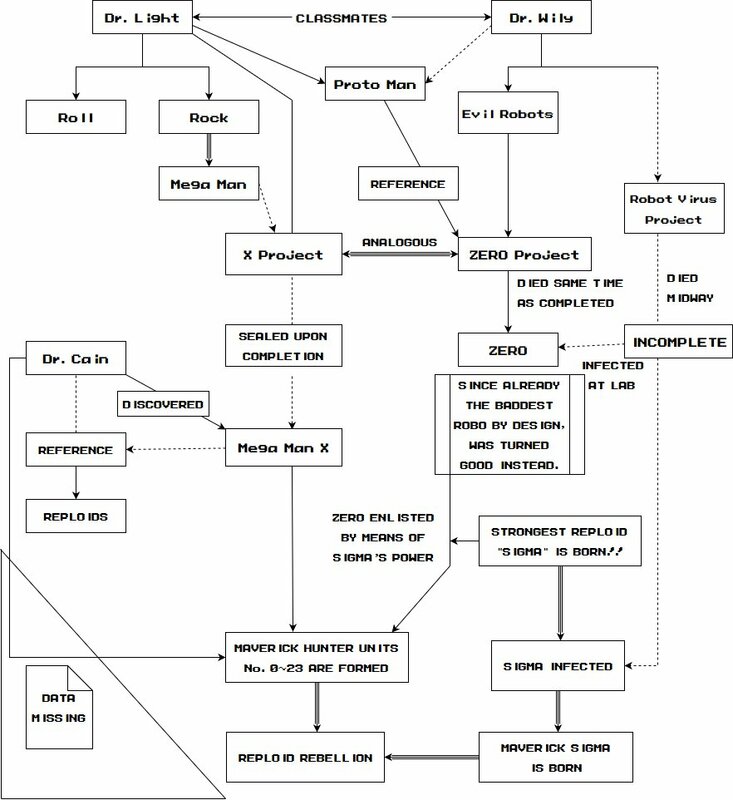 All in all, really interesting stuff that shows just how far back the Mega Man X backstory was established. 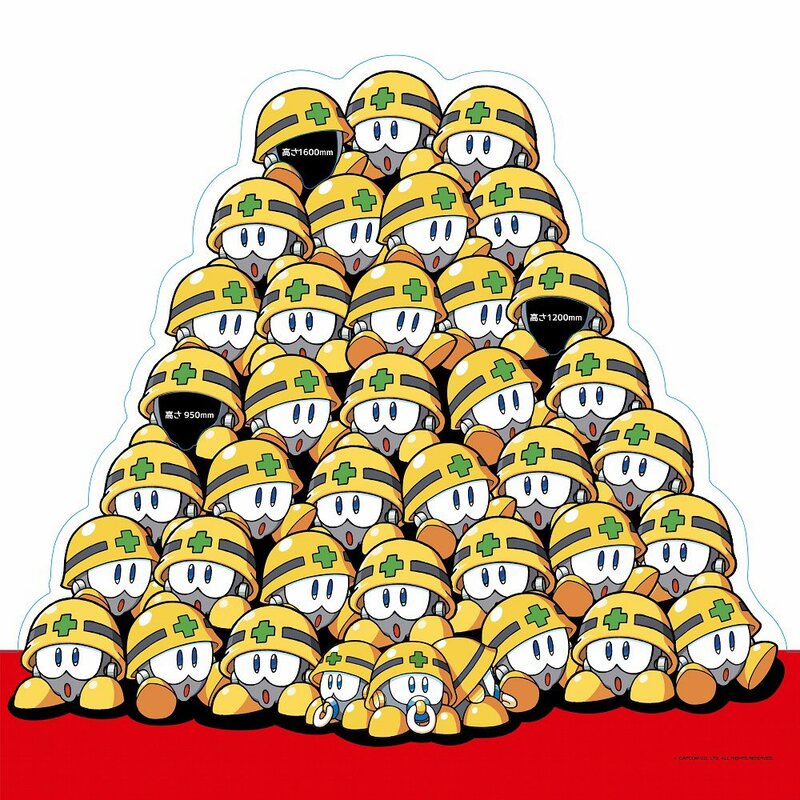 Since Rockman Unite is just starting out, who knows what other neat pieces of history we'll be seeing for the first time? Thanks to N2_EXE for finding this and Number 20 for the translation! With Rockman's 30th anniversary in full swing, it should come as no surprise more collaborations with other IPs are popping up. It helps spread brand awareness, you see. Today, it's a crossover with the Japanese-exclusive strategy game Castle & Dragon. 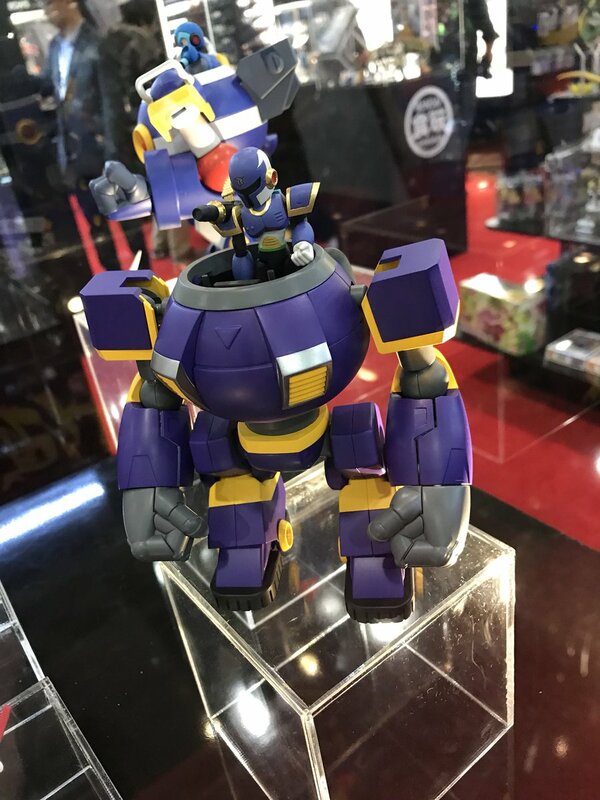 Starting February 16th, Rockman character-themed armor and parts tickets will be available to purchase (via gacha) from the in-game 'EGG' store. You can equip your units with armors based on Rockman, Blues, Forte, Metal Man, Air Man, Bubble Man, Quick Man, Crash Man, Heat Man and Wood Man. 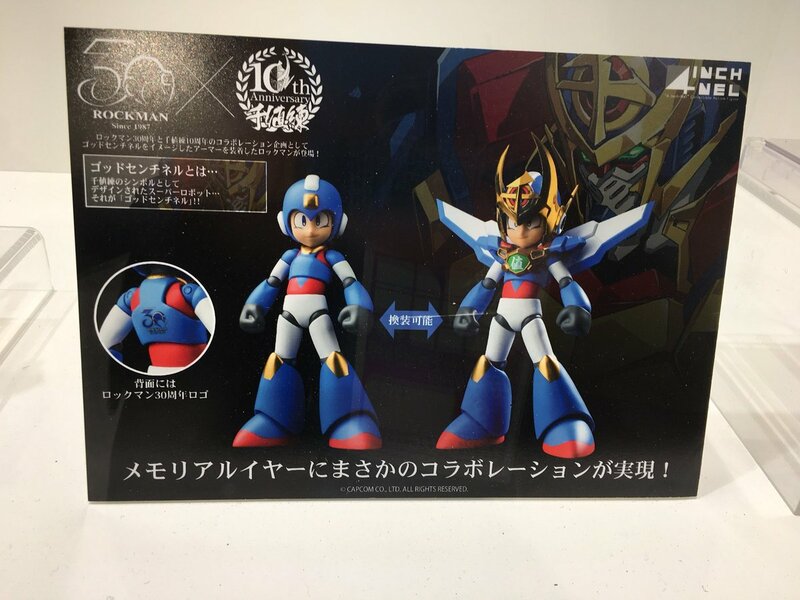 Rare drops include helmet-less Rockman and 8-bit Rockman. Each armor comes with their own unique attacks and stats. Additionally, an optional event to square off against Dr. Wily will run from now until March 2nd. You can check out some gameplay of that here – it's pretty chaotic. It's worth a watch if you want to see Rock and co. fighting chimeras, snowmen and robot owls. The Rockman 30th anniversary festival in Hirakata Park will be featuring a special art exhibition, the park announced. Though details are sparse, the gallery will reportedly display a number of authentic concept pieces from the franchise's history, a chronology of characters and special attractions. A photo opportunity to 'become a Met' will be on-hand as well. 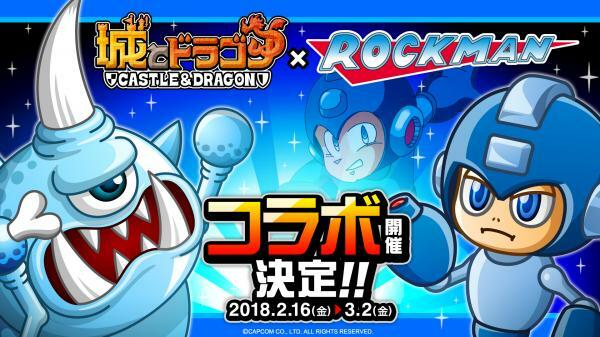 The Rockman 30th anniversary festival begins on February 10th in Hirakata Park (Hirakata, Osaka). Entree fee is 500 yen per person. A secondary festival is planned to take place in Hanayashiki Park (Asakusa, Tokyo) on the 10th, too. No word yet if the art exhibition will be present an Hanayashiki. "The Blue Bomber returns to comics through the classic stories of Japanese artist Hitoshi Ariga -- available for the first time in color! The scheming Doctor Wily has moved on from corrupting good machines, and instead has created his own batch of eight villainous robots! 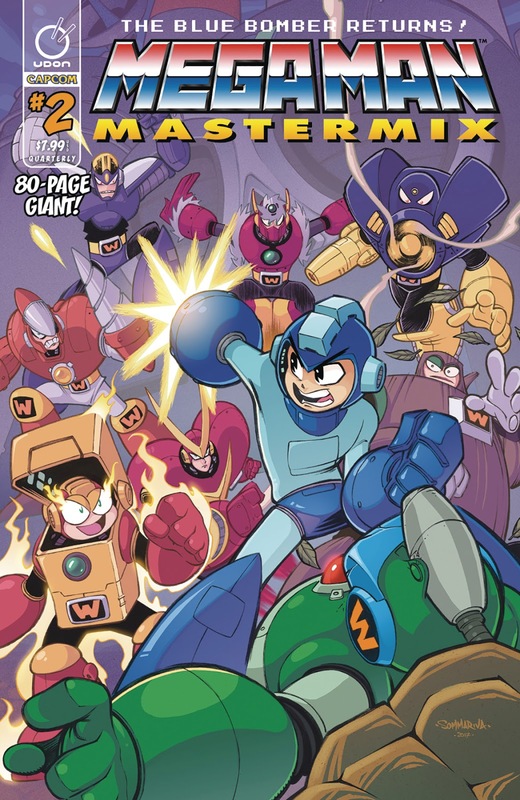 Mega Man will need a little help from his friends if he hopes survive his first encounter with... The Wily Numbers!" 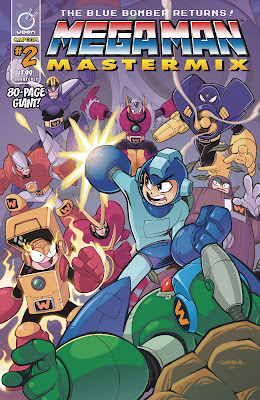 So yeah; issue #2 sounds like it will cover the entirety of "R Destruction Order", the second Mega Man Megamix chapter. Look forward to it! To commemorate Rockman's 30th anniversary, the Capcom Cafe in Aeon Lake Town in Koshigaya, Saitama Prefecture will soon play host to a Rockman-themed menu, Famitsu reports. Though the contents of the menu weren't disclosed, the illustration above purportedly provides a few hints about what kind of delights to expect. And yes; it would seem Rockman 11 will have a large role to play, too. Famitsu says the event will offer exclusive goods and merchandise to visitors. 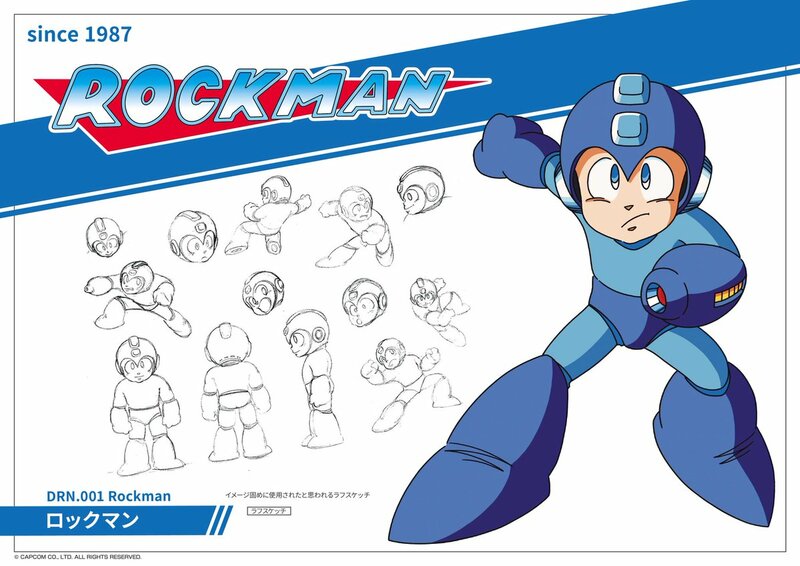 We may yet have our first batch of Rockman 11-branded goodies! The celebration kicks off on February 22nd and last through March 28th. More news soon! Two hundred fan-designs later, Bandai have announced the winner of the Rockman X Carddass and Rockman X Mega Missions armor design contest: the Energen Armor.